Provisional patent applications are a relatively new type of application that has only been around for twenty years or so. It wasn’t always possible to do a provisional patent application. What it was called back then was utility patent where it took months to get these filings in because there are so many formality requirements and so many things that you can’t change once it’s filed. However, we need them filed quickly because priority date is important, so what did they do? What they decided to do was to allow a temporary application with fewer requirements, fewer standards, and it’s a lot less formal. They decided to call it a provisional patent application since it wouldn’t be examined and all the examination requirements that you should have don’t have to be there. 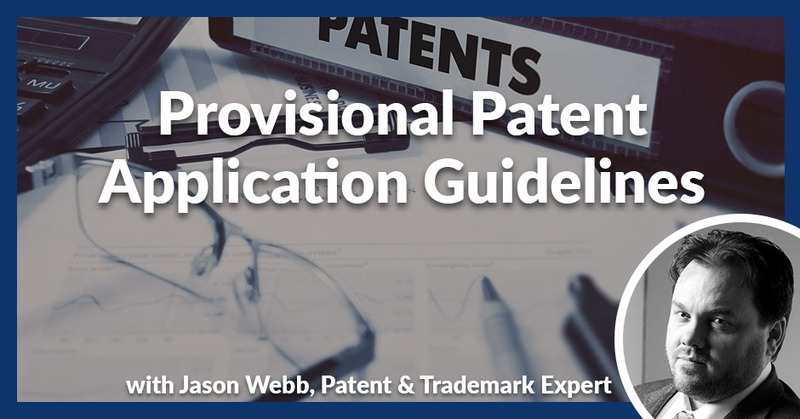 Patent and trademark expert Jason Webb deep dives into provisional patent, its application guidelines, and what differentiates it from the non-provisional or standard patent. What they’ve decided to do was allow a temporary application with fewer requirements, fewer standards. It wouldn’t be examined. Since it wouldn’t be examined, then all the examination requirements that you would have to have don’t have to be there. It can be a lot less formal. They decided to call it a provisional patent application. However, the standard utility patent application didn’t have a name, it was just a patent application. 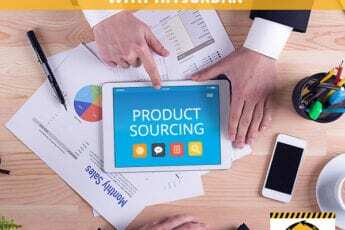 Since they called it the provisional application, the standard application then became called the non-provisional patent application to distinguish it from the provisional patent application. That has caused a lot of confusion with people because who calls the normal thing with starting with the word no? Some don’t do that but we do that. The standard utility patent application that you need to file to get a patent registration in the end is the non-provisional patent application. Provisional means temporary or just for now, a patch of a thing. It’s a great way to get your foot in the door in the patent office quickly, easy, less expensive. With that said, a provisional patent application will not register. You have to follow it with a non-provisional patent application that “claims priority” to the provisional application. Basically, what that means is that the non-provisional application in the filing documents will mention the provisional by its number and by its filing date and by the inventor. That ties the two together and that says, “This non-provisional is based on the provisional and for everything that’s described in the non-provisional that’s it’s also described in the provisional, we want the priority date, the filing date of the provisional.” Then everything that’s new in the non-provisional gets the filing date of non-provisional. It also adds an extra step in the process. It adds some extra expenses like the government fees. It also delays when your application gets assigned to an art unit and therefore assigned to an examiner. If you go the route of a provisional patent application first, know that in the long run, your total expenses and therefore your total return on investment will be different. Your expenses will be higher and your return will be lower. Also, it will take you longer to get to the registration because the provisional lasts for about a year. As long as you file a non-provisional before that year is up, then you can claim priority but they don’t assign an art unit to your application. Therefore, you can’t assign an examiner and therefore can’t put it in the pile of things for that examiner to work on until you’ve filed the non-provisional. It will delay how long it takes to get the patent in the end. If those are things that would be a problem for you, then maybe not going the provisional route is the best option. I’ve found that there are about four situations where a provisional application is attractive and valuable to an applicant. One of them is if you’re short on time. If you have a big show that you’re going to and you’re going to that show in less than a month and there’s no time to file a standard patent application, then going to the show and for business reasons is super important that you show off your invention at the trade show. 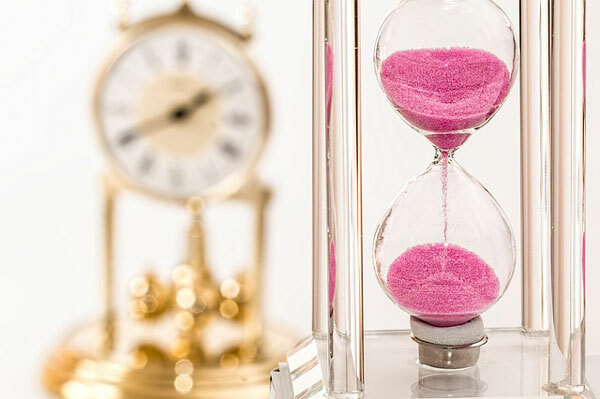 If you’re running up against a short deadline, a provisional application can get your protection in place and still allow you to go out and tell the world about your invention. If you’re short on time, that’s helpful. Remember in the long run, it will cost more to do a provisional but if you’re short on the money now and won’t be short on money later, then filing a provisional now can get you protection that you might not be able to afford right now. That can be really helpful. Another one is if you’re short on commitment to a project. For example, if you want to do some market testing or do something before you commit to launching this product or this service, then filing a provisional allows you to get protection and be free to go out and do your testing or launch the product, or do a soft launch or a limited launch without giving up your rights to protect the invention. If that turns out well, you can then go forward with a non-provisional with more confidence that, “Yes, this is what I want to do. I want protection in this area.” If it turns out that it doesn’t go well and you’re going to bag it, then your sunk cost, your investment that you put into it is less, so that can be useful. It’s especially useful if you’re a prolific inventor or you invent a lot of things and you have some process of filtering which ones you are going to go forward with, then you can file a quick, cheap provisional applications. A lot of universities do this with their Tech Transfer Office. They have lots of professors inventing lots of things and they are not quite sure which ones they want to go forward with so, “Let’s file provisional applications on everything. That gives us a year to sort out which ones we really care about.” That’s another one. Then the fourth one and this is especially true in the software space, there are sometimes where you’ve invented something but there’s still a lot of engineering to do. Creative people are going to be involved in the engineering. Maybe the inventors are going to be there. You think that maybe there are more ideas that haven’t come out that are related to what you feel is new, unique and special about the invention. If those are probably going to come out during that development, what you might do is you might file a provisional application now, work on that and then file a non-provisional application before the year is up. Everything that you’ve worked on and developed, solidified and clarified in your head, all that learning, all that knowledge and all the extra pieces that now exists that didn’t exist when you filed the provisional, those are things we can include in the non-provisional. In summary, a provisional can be useful if you’re short on money, on time, on commitment to the project or if there’s a lot of development yet to be done on it that you need the protection now in order to go forward with the development well. That can be helpful because not everyone is willing to sign a confidentiality agreement or a non-compete. Until you file a patent application, you have no protection without those kinds of agreements. 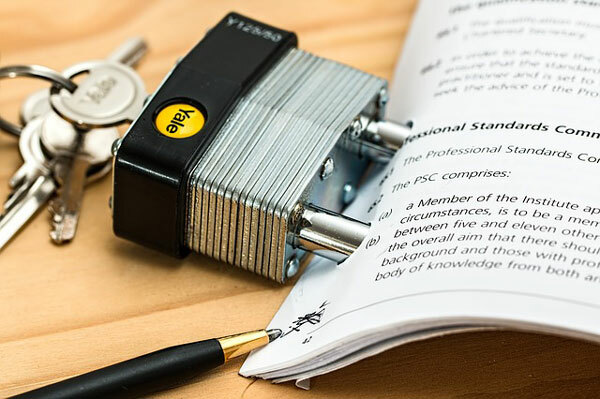 Even then those agreements, sometimes non-competes there are ways to get around them, confidentiality agreements, people can sneak information out. If you can’t ever prove that they disclosed it, then how do you do that? Having a patent application filed protects you against everyone without any of them having to sign the agreements at all. That’s extremely helpful in moving things forward with your business. Provisional Patent: Having a patent application filed protects you against everyone without any of them having to sign the agreement at all. Provisional patent applications are great in those situations. If you’re not in one of those situations, then maybe you’d be better off going straight to a standard non-provisional patent application. As far as what’s the difference between the provisional application and the non-provisional application, examples would be the drawing requirements. For a provisional patent application, I could sketch something on a napkin, take a photograph of it with my phone or scan it into the computer and I could file that. It would look messy, it would be informal and it wouldn’t comply with the drawing requirements that we have for patents, but it would be okay. If you want to be clear enough, make sense and tell what the things are but as far as line, width, margins, thicknesses and how big the letters are, you’re not going have to worry about that. That’s one of the differences. Another huge difference is that you’re not required to have claims in your provisional patent application. For foreign applications, sometimes it’s important to have at least one claim in your provisional especially if you’re planning on filing in Europe. In Europe, your claims can never be broader than your broadest claim in the priority doc. If you do one broad claim and at least you set this boundary that’s very far away and gives you more space in your claim, what can you do with the claims in Europe? If you’re not planning on filing foreign applications, then there’s no need for a claim in the provisional application. Sometimes what we’ll do in claims and provisional applications is do some skeleton claims that give us a reminder of what we were thinking we wanted to claim or at least the directions we were wanting to go at the time that we filed it. We may change our minds later, but at least that’s a recreation of this is what we were thinking about when we filed the application. A year later we get started where we left off instead of having to recreate that in a month. No claims, that’s another big change. One of the places where people sometimes get stuck with provisional applications is there is still aa clerical review to make sure that what you filed is what you said you filed. Where people can get problems is if they have a list of drawings let’s say, “We have figures one through ten in this application.” Then they changed their minds and took out some figures or they added some figures, so then the list of figures doesn’t match the actual figures. Then they can kick it back and you can lose your priority data if you don’t respond in time and respond properly. That’s something you want to be careful with. That can be helpful because once you forgot to include a figure that you did want to include, that’s why you still want to have your list of figures so that if they do catch that then you should catch the problem as quickly as you can. When you’re filing the application, you want to be careful that you are filing everything that you plan to file and not leaving anything out, not making mistakes with that. That’s another difference with the provisional applications. Let’s focus on what needs to be done. In the provisional patent application, you still need to meet the written description requirement, which means that you’re describing it well enough that someone of ordinary skill in the art could recognize that yes, you’ve invented something. This isn’t just science fiction, this is real. Then you have a real conception of what this invention is. The enablement requirement means that one of the ordinary skills in the art could take it and go produce it. An example I give a lot of times to people is I say, “Imagine that what we filed with the government, that then gets sent to your programmers, engineers, chemists or whoever’s going to produce the invention. You go into a coma, you’re gone for six months or you’re gone for a year, they can’t ask you questions, you can’t comment, you can’t critique, you can’t review. You wake up in six months. Based on what you wrote, they have to have been able to produce a functioning invention. It doesn’t have to function all the time. It doesn’t have to be aesthetically the way that you want it to be, but it has to be functional. If you can’t describe it well enough that they can do that, if they’re engineers, they’re going to put the screws, they may take the materials if the materials are just optimization. You don’t have to include every little part and piece. You don’t have to give them every little detail, but you have to give them enough detail so that they’ll know where to go, what direction to go, what parts are there, how do you connect to each other, how do you work together, what’s the final functioning version like. You need to include enough description there. Another piece that you need to make sure is in the provisional is enough variations and enough description of different ways to do your invention that the Doctrine of Equivalents can be used if needed. This is one of the ways that you prevent someone from changing one little thing to get around with that. I’m sure a lot of you’ve heard about that where people complain about patents and say, “You just have to change one little thing, you get around the patent.” There’s a whole doctrine called the Doctrine of Equivalents that fights against that. That if they just change one little thing but they’re essentially still doing the same thing, just not exactly what you said, they can still be infringing under the Doctrine of Equivalents. It’s hard for that to apply if you describe one and only one version of your invention. You don’t talk about, “This part could be like this or it could be like that or you can connect it in this way.” That’s why you see a lot of language in patent applications like it could be coupled there too with a coupling device including but not limited to snaps, buckles, clips, pins and rivets.” It’s a big long, list. It’s one of the reasons why patent applications and registrations are boring to read, it’s because we’re trying to describe lots of different ways to do it. You want to be specific enough that someone could make it, build it and use it, but you also want it to be broad enough and varied enough that someone can’t change one little thing and get around the patents. Sometimes inventors want to hold back the secret sauce that makes it work. If you describe your invention well-enough that they can build it and build the best version of it, that’s the standard they’re looking for. If you’re holding back the secret sauce to that invention, that can be used against you later on. One, it can be used against you later on under Best Mode Requirements. Worse would be if without the secret sauce, it doesn’t even work at all. I’ve had people tell me, “I want to get a patent on my chemical composition,” but then they don’t want to give me the recipe because they want to keep that secret. We can’t get a patent on a chemical composition when you keep the recipe secret. That’s a requirement that we’ll be able to explain to the government how you are making use of this. Think carefully about if you’re wanting to keep something back from the government. That could cause huge problems to a patent application even in the provisional stages. Provisional Patent: We can’t get a patent on a chemical composition when you keep the recipe secret; that’s a requirement. I think that’s a good overview of provisional patent applications, what they’re good for, what they’re like and some of the history of it. I found them to be very useful, to be very helpful. I definitely do recommend that people use them when it’s appropriate for the circumstances of the business. It’s not right for everyone and there are definitely ways to do it wrong, but if done right and done in a situation it can be extremely helpful. Thanks so much for giving that overview. I really like that. I thought that was very helpful. I don’t know that our members, unless they’re already familiar with patents, have ever heard anything about the Doctrine of Equivalents before. I thought that was a great thing to share. I’ve done a lot of provisional patents myself and I do see the value in them as well. I didn’t know that about European applications and including one broad claim. I thought that was also really useful and I’ll definitely remember that for myself in the future. That makes a lot of sense to me because you obviously don’t want to include everything because we don’t disclose something you can’t claim it later. I’ve had it happen where I included seven different ways to accomplish something. It’s like what you were talking about giving yourself some room and context of the Doctrine of Equivalents. The patent examiner at one point said, “You need to choose which road you’re going to go down for this. It’s almost like there are two different species of this invention and which one is the one.” There must be a judgment call or a fine line between including variations and really having two inventions in one application. Some of it is also how much work the examiners are willing to do. I’ve had situations where the examiner came back and said, “These are two inventions.” Either I or my client was like, “No, it’s not. We want to keep this all together.” The research that I’ve done in order to combat that, it comes out that the examiner is the one who gets to say that. There are ways to fight it but you are going back to the same examiner and if the examiner is feeling like they don’t want to do that much work, they don’t want to do so much searching or sometimes examiners sometimes look in the system. If I can split the same application into pieces and it’s essentially the same work that you get to do twice, I get credit for having done work for two applications, but I only have to do one application for the work. Sometimes they’re legitimately saying, “Yes, this is two.” Sometimes they’re playing the system. With that said, when they issue those restriction requirements and so then you make a restriction action. They have to say that they believe that they are patentably distinct variations. That’s a great thing for you because that means if they can reject one of them, then they can’t necessarily reject the other one. It makes a distinction sometimes where there isn’t one. It puts on the record, “This is patentably distinct from that,” so just because this one gets rejected, it doesn’t mean this one is automatically rejected too. That can go to your advantage as well sometimes. My practice on that is if an examiner does that then, “That was one nice thing on the record. Let’s not fight it, let’s go ahead and let it happen.” The focus that we then do is say, “These two things or four things or whatever, can they split up? Which of these do we care about getting the patent first off?” Because whichever one we pick is going to move forward with the examination, you can file divisional applications for the others, but which one is commercially the most important that we can get a patent on now? That’s the one that we pick. It really does become a negotiation with the examiner at times. I’ve experienced this to an extent and I’m curious if you agree. Because you want to make them very broad, you want to throw everything in there that you’ve thought of so that you don’t miss anything that you want to claim that you didn’t disclose. I find that when I’m in a licensing situation or a potential asset acquisition situation, somebody maybe wants to buy the patent from me that if I’ve left it in the provisional stage or I do it in that first year before filing the full application, I think attorneys for who you’re selling it to that they’re penetrating, tend to prefer that than if they’re stuck with the language somebody else chose and filed a full application on. That they have a chance to make their mark on it and try to be the hero for their client. Have you experienced that? Some of that will go on especially for large companies who have established protocols for how they do claims, how they write the descriptions. A lot of times they’ll prefer to be able to jump into that. I’ve also seen some of the other ways around where if you have a provisional, but you don’t have a non-provisional, they will criticize the provisional as not having what they would want to have in there. Especially if you filed your own provisional and didn’t do it with normal standards or it doesn’t look nice. I’ve seen that happen. Another one I’ve seen is where they will negotiate with you but they will intentionally draw the negotiations out because they think, “Maybe he doesn’t have enough money to file the full patent. If I can get him to delay long enough and he doesn’t meet his own deadline, then now he’s told me everything. He can’t get a patent on it and I can just walk off with.” You want to be careful about negotiating during that stage and make sure to have a strong showing that we’re going to meet this deadline whether you’ve signed a deal with me or not. Don’t come across as, “You’re my one hope and I can’t file a patent without your licensing fees.” You should be careful with that. That’s unfortunate that some people would take advantage of you that way but I think that’s the world we live in, unfortunately. It’s so insightful. Thank you so much, Jason. I really appreciate you being here and I know our members do too. We look forward to engaging with you on another related topic in the future. Tune in to Jason Webb next Office Hours. Connect with and find out more about Jason Webb in our Experts Directory. 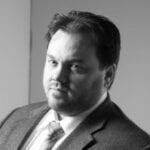 Jason Webb is an intellectual property attorney and the founder of JP Webb. He has a Bachelors of Science degree in Applied Physics and Computational Modeling from Brigham Young University where he assisted in experimental laser physics and cancer research. Mr. Webb has deep experience in patent, trademark, and copyright law. He has successfully negotiated licensing agreements and settlement agreements for his clients with Fortune 500 companies.